Dedicated to the consideration of advanced I.T. technologies and their financial applications, this volume contains contributions from an international group of system developers and managers from academia, the financial industry and their suppliers: all actively involved in the development and practical introduction of these technologies into banking and financial organisations. Concentrating on real experience and present needs, rather than theoretical possibilities or limited prototype applications, it is hoped the publication will give a better insight into advanced I.T. practice and potential as it currently exists and motivate today's developers and researchers. 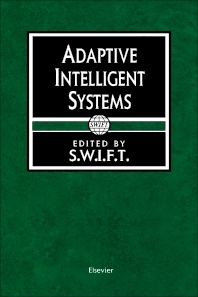 In addition to the discussion of a wide range of technologies and approaches to ensure adaptivity, three other major topics are explored in the book: neural networks, classical software engineering techniques and rule-based systems. Artificial Neural Networks and ARIMA-Models within the Field of Stock Market Prediction- a Comparison (T. Lohrbach, M. Schumann). A Decision Support System Building Tool with Fuzzy Logic and its Application to Chart Technical Analysis (C. Yasunobu, M. Kosaka, K. Yokomura, K. Honda). Debate I - That Neural Networks are an Applicable Technology Today. Man-Machine Synergy in Action (M. Pilote, M. Fillion). Knowledge Structuring and Formalization in a Distributed Environment (A. Busac, M.-C. Jean). An Adaptable Reporting Architecture (R. Venken). FIRCO: The Intelligent Transformation of D Fields into A Fields (C. Tapia-Stocker, A. Bénicourt, J. Losco). Debate II - That Classical Software Engineering Methods are Suitable for Developing Adaptive Systems. The Schematic Programming Tool: An Application of A.I. to Software Engineering (J.M. Forêt, R. Phelps, F. Ristori, W. Aerts). Neural Network Futures Trading - A Feasibility Study (L.S. Duke, J.A. Long). An Application of the AQ Machine Learning Methodology on the Stock Market (Y. Hiemstra). Prediction of Stock Market Index Changes (I. &Scedil;irin, H. Altay Güvenir). Credit Risk and Lending in an Artificial Adaptive Banking System (S. Margarita, A. Beltratti). Consumer Loan Analysis Using Neural Networks (J. Seitz, E. Stickel). Improving the Neural Network Testing Process (E. Ferret). DeTerminator: A Decision Support System and Tool-kit Using the ProFuSE Method (R.C.F. Antony, A.G. Merk). Debate III - That Rule-Based Systems are an Evolutionary Dead-end in the Development of Intelligent Systems. An Expert System for Personal Financial Asset Management Using Analogical, Qualitative and Causal Reasoning (F.-Y. Villemin).